Rubio amassed 15 points (5-11 FG, 1-3 3Pt, 4-4 FT), six assists, three rebounds, and two steals in 32 minutes during Sunday's 122-90 loss to the Rockets. Rubio, who had missed four of the last five games for the Jazz, was back in action Sunday, ending with 15 points in 32 minutes. 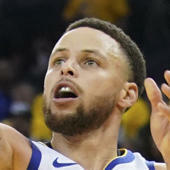 He has been struggling with a slew of injuries across the backend of the season and although he was able to take his regular place in the starting lineup, he was unable to help the Jazz in avoiding a 32 point thumping. It appears as though he will be ready to go Wednesday but the threat of injury seems to be ever-present when it comes to the veteran point guard.